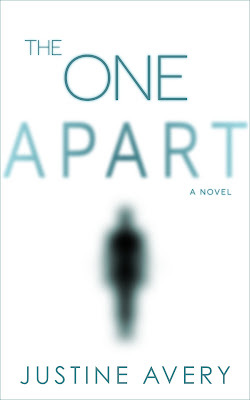 Tell us a little bit about the characters in The One Apart. The story centers around Tres, who realizes, within the first few scenes, that he’s inside the womb, about to be born—and not for the first time. His birth, childhood, and life are all focused on figuring out just who he is, why he was born remembering all his past lives (when no one else is), and what, if anything, it all means. He feels completely out of place, afraid, and struggles with wanting to share with the world and his family who he really is, what he’s really aware of, but he doesn’t want to frighten them or even lose their trust and love for him. He’s welcomed into the world by his teenage mother, Sancha, and grandmother, Maria, both strong female characters with their own fears and struggles who are able to detect Tres’s uniqueness but deal with it very differently. Maria is the matriarch of the family, holding them together through all the challenges and discoveries, while Sancha is childlike herself, all naivety and innocence and youthful bravery. And Tres learns as much from the two of them as his own existence teaches them. How long did it take you to write and edit this book? Moving around so much, do you have a home base, consider a place home? What's been your favorite book this year?